Ejercicios Present Simple. Affirmative, negative and interrogative. 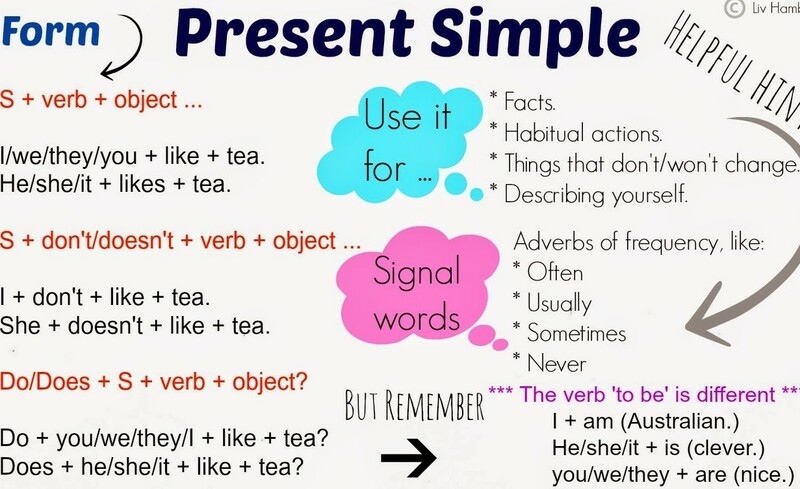 Conjuga el verbo en present simple/presente simple correctamente. Completa con la palabra correcta. Martha never _______ (watch) television. He always_____(play) football with us. She ____ up very early. John never ____ fresh fish. He often ____ swimming on Thursdays. _______ he _______ (want) to eat? John_______ (study) English at university. She do not speak French. She does not speak French. I _______ (not/do) my homework. I not do my homework. I don't do my homework. I sometimes__________(go) to work by car. Harry always _______ (watch) television. Martin and I _______ (not/live) in a big house. Julia _______ (study) English at university. _______ he _______ (want) to play? They always _______ (eat) dinner at 8 o'clock. 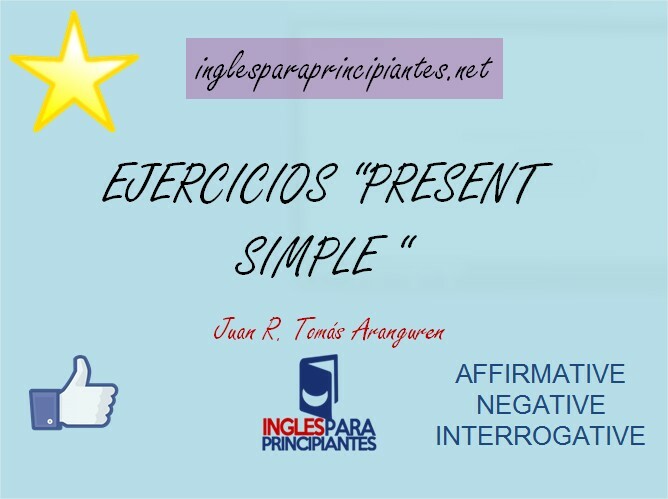 Ejercicios Present Simple. Afirmativo, negativo e interrogativo. Revise and do it again! You can do it better!Go for it! Ejercicios verbo “to be” (2): frases afirmativa, negativas e interrogativas.